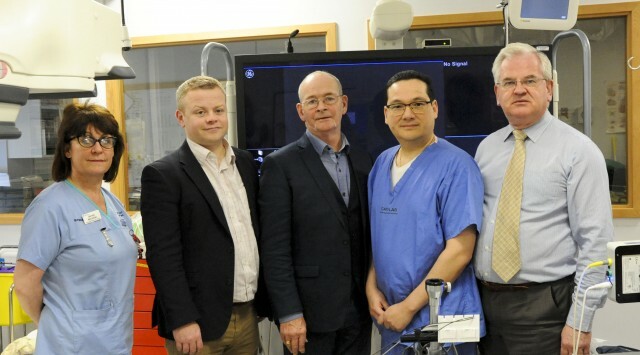 A cross border cardiology service at Altnagelvin Hospital in Derry/Londonderry has enabled 27 patients (to date) from County Donegal with a diagnosed ST-Elevation Myocardial infarction condition (heart attack) to receive lifesaving primary Percutaneous Coronary Invention (pPCI Services) treatment. 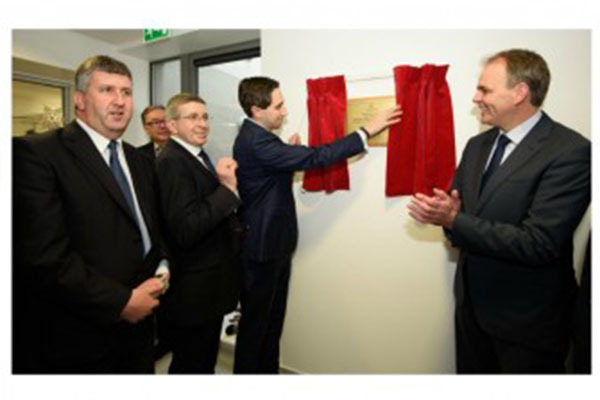 The Minister for Health Simon Harris TD visited Letterkenny University Hospital (LUH) on Monday December 12th. During the visit the Minister met with management and staff at the hospital and formally opened the Integrated Blood Sciences Department and the Postgraduate Medical Learning Centre. "Mrs. Edith Catterson from Lifford, County Donegal pictured with her husband Robert. daughter Rachelle and staff from St Pius Ward presenting a cheque of €2,070 to Ms. Catherine Dowling, Consultant Urologist for the ‘Patient Comfort Fund’, St Pius Ward. The eRoster Project at Letterkenny University Hospital won two awards for their e-rostering system at the hospital, Award for improving working lives through technology - Dr Anne Drake, Director of Nursing and the second award for Outstanding contribution by an individual - Michelle Donnelly, eRostering Project Manager. The project was a finalist in five categories at the Allocate User Group Conference which took place recently in Birmingham.